Well, the Craig Dalrymple era, albeit temporary, started off with a whimper. To be fair, I barely watched the game, just enough to see the ‘Caps concede a very early penalty, which Zlatan very easily converted. Whether it’s my increasing cynicism, historical results, or my overall lack of faith in a team to come back on the road, I made the remark, half joking, that the game was over and walked away from the TV. After that, I chose to watch an adult rec league indoor game instead. Why was I watching an adult indoor rec league game over an MLS game? Well, the options were to go home and play NHL 19 (as I have no cable), go watch the game at a pub, or stay where I was. It also helps that there was alcohol nearby and a few friends of mine were playing. Where does this leave the team? Well, six points out with four games to play, or realistically seven considering the tiebreaker scenarios. Those four matches see them away to TFC and LAFC, and home to Sporting KC and Portland, with a coach who’s just there as a warm body until they hire a permanent one. The wrong string of results will see the ‘Caps on the brink of, if not mathematically, eliminated from the playoffs this weekend. Perhaps a fitting ending to a season that has been eventful and uninspiring at the same time. I do not like where this club is headed and with different messages coming from different levels on things like the Davies money, I’m not sure I see a clear direction. As for this development team, why? 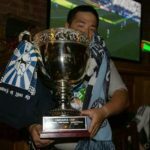 If the ‘Caps wanted to have some sort of bridge, why not partner with TSS FC Rovers? Sure, it won’t be the most popular decision around, but the ‘Caps apparently want to get their Academy grads some playing time, and a number of them already play for the Rovers? Not to mention TSS could probably use the money. It doesn’t seem like this affiliation with Fresno is working and they’re not exactly close either. In the interest of full disclosure, I will be an unaffiliated supporter come the end of the season. I am leaving the active supporter and MLS season ticketholder scene. On the Whitecaps side, I feel that, even if a complete front office re-build started today, it would be a three to five year process, never mind the constant player turnover that’s been happening on a pretty much an annual basis. Away from the field, it’s probably been a bigger overall mess than it has been on the field. Things are not even remotely what they appear to be and certain recent actions have shown that, in my opinion, it’s going to get worse, before it gets better. In that regard, walking away was an easier decision than giving up my ticket. Am I turning my back on MLS altogether? No. 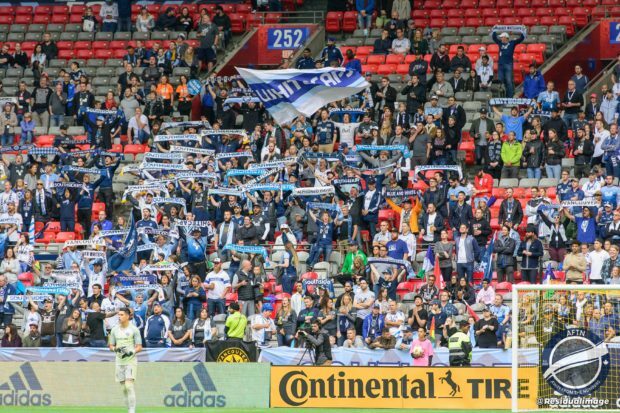 I just can’t justify the cost of a supporters section seat at BC Place and try and pull off some road trips I’ve been talking about, mostly to see some friends in various MLS cities and a few other matches worth seeing. It’s kind of hard to travel when you have three sets of season tickets for three different clubs and you decide to try and squeeze in some hockey and lacrosse too. At some point you have to prioritize. Others are doing the same, and it seems that the Whitecaps are the ones to be losing out from many at this point in time. What does all this mean? As the short League Two (PDL) season progressed, and in conjunction with the downturn in the Vancouver supporter scene, it made me realize that I’d rather just go local groundhopping and watch local soccer and stay somewhat hydrated. Maybe the two guys I know that do just that have had it right for a few years now. Go watch some footy, being played by people who are there for the simple love of the game. Very little invested in any particular team, just watching the game for the sake of it. In a time where small things matter, it speaks volumes, to me at least, that I got an email from the other main occupants of BC Place, the BC Lions, with a special message from the President and a voucher for a complimentary and autographed copy of a newly released book written by a former player. This, on top of the book I got 10 years ago and the numerous perks that came with being a season ticketholder, has further validated my commitment to the team. Now, I’m not saying that I’m all about the extras, but when push comes to shove, the game is what it is. When you’re given a choice, chances are you’ll probably be better to the club that actually cares about it’s fanbase. I’m not aware that people are demanding these extra events, involving various team personnel, but it does give one a feeling of inclusion and that you matter. In the end, don’t we all just want to feel like we matter to someone other than friends and loved ones?